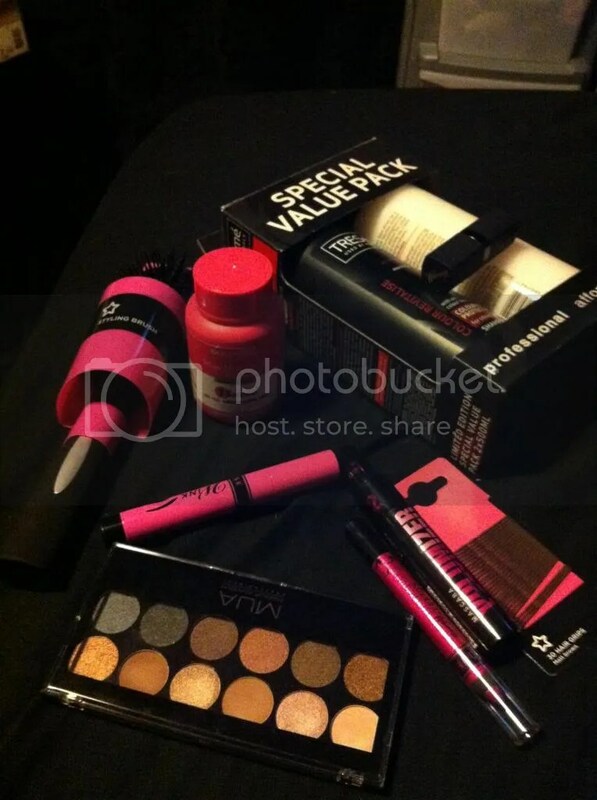 Superdrug- Barry M, MUA, Bourjois + nails! I couldn’t think of a witty title for this one, fat fashion fans- I do apologise profusely! But this is part I of my post-Christmas haul, which is a mix of things I needed and things I wanted. Isn’t life one of those mixes? I know hauls are a bit silly to do- y’all want daily looks, reviews, musings- but really, things have been incredibly hard in the world of the Fat Fashionista. I’m not sure if I’ll go into it here- it is a little on the melodramatic, uber melancholic side- but I might resurrect an old blog. Or, if you feel you wish to know here, then do comment below. I’m just not sure I want to sully my lovely, luxurious, colourful (behind the black) world of fashion and beauty and art with Real Life. Capital Letters and all. I will warn you that this is probably the last post I will do that will include new reviews, excepting the second part of it I have coming up. Fat Fashionista lost her one source of stable income, so I will have to be saving up the money from the odd teaching jobs I do. I have things to pay for, things to save for- holidays and music festivals- as well as potential PhDs and the like. Oh Real Life! I wish every day could be a beautiful fashion tea party, resplendent in velvets and studs and glitter. But alas- we don’t live in the magical, sparkly world I wish we did. And so I shall soldier on, as I always do. 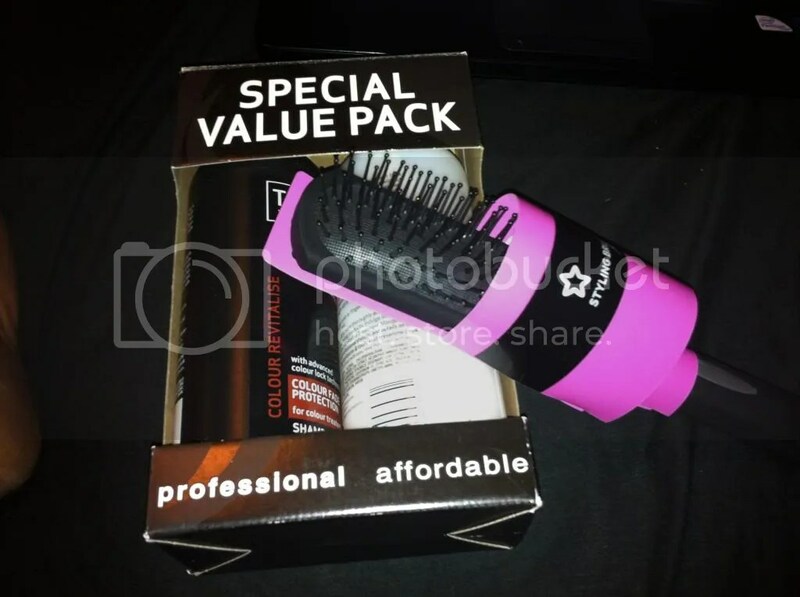 All of TreSemme’s stuff was on sale in special ‘Value Packs’- a matching shampoo and conditioner- for £4! The bottles are a little smaller than I’d normally buy, but I still saved a bit of money so that was fine! I also got a ‘styling brush’ from the Superdrug own range, as I don’t actually own a smaller paddle brush- I believe this will make back-combing and more precise styling a lot easier. Next up was three things from Barry M! The lipstick and the eyeliner were ‘necessary’ purchases- can you believe I don’t actually own a proper red lipstick? I was sure I had about three, but when I went to find one the other day I found myself searching in vain! I had off-reds and a sheer red from MAC (Cockney) but no proper reds. I was shocked! This is a Lip Paint in shade 121/Pillar Box Red, which is beautiful! The Wink Eyeliner is a black marker pen-style, and is brilliant. I had a bit of a try before I went to bed the other night and I think it’ll be really good to use for a bolder flick- I also own the Boots 17 eyeliner pen which is a bit finer for more precise lines. 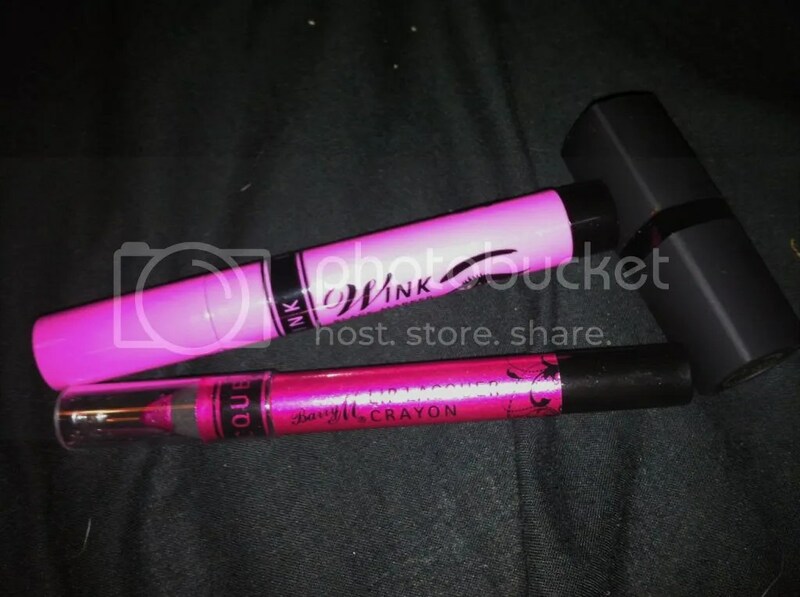 The lip crayon, which is in shade 4 (Party Pink, I believe!) is lovely. It looks more like a gloss in the photo, but it’s actually glittery, and is surprisingly comfortable. It’s a lot less sheer than I expected- definitely a good ‘going out’ product! The Lip Paint was £4.49, the eyliner £4.59 and the crayon was £4.99, but at the moment Superdrug have a 3 for 2 offer on all Barry M products, so I got the Lip Paint for free! 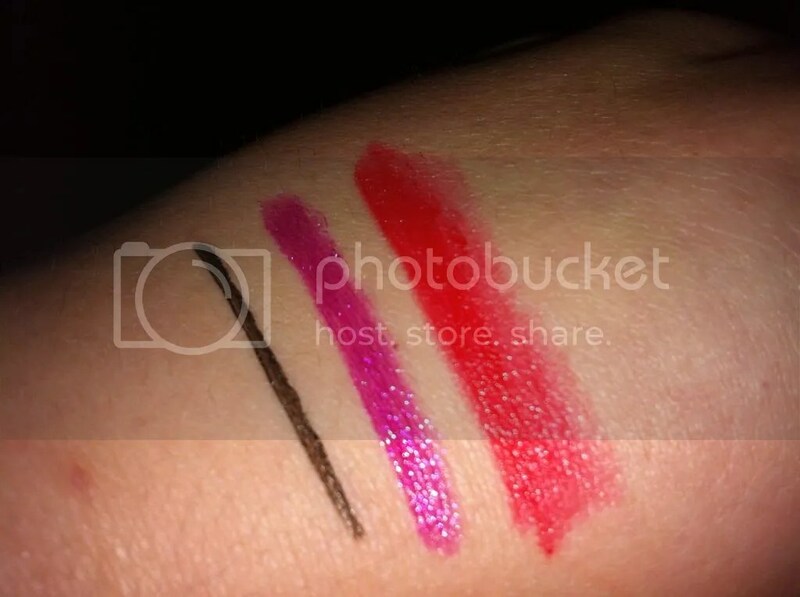 Best of all, all three products are animal friendly and, apart from the Lip Paint, completely vegan! So if that’s something you’re very passionate about, Barry M is a really good quality brand for you. I’ll go into a bit more detail with the palette presently, but these are the Volumizer mascara by Bourjois and the MUA 12 shade palette in Undressed. Volumizer is a mascara in the same vein as Rimmel’s Day 2 Night mascara- I opted for Bourjois because I generally prefer their products- and I love it. It was £10.49, so a bit pricier than Rimmel, but I was seriously impressed. The idea is that you use Number 1 to lengthen and ‘prep’ your lashes- all it does, as far as I can tell, is drag the brush right through the entirety of the tube to get rid of all of the excess product, and really separates your lashes- and then Number 2 to create ‘3D volume’. I used it last night when I went to see Les Miserables and even though it’s not advertised as being waterproof, it withstood two and a half hours of a veritable deluge of tears. No smudging, no clumping, nada. Brilliant, and a welcome addition to my mascara collection. It’s knocked Maybelline Great Lash right of its’ drug store pedestal. I’m not sure how well it will stand up to Benefit Bad Gal, but I will do a comparison soon! The second thing up there is the surprisingly fantastic MUA Undressed palette. I’m sure we’ve all heard of this palette by now. I’m pretty late to the party, really! ‘Undressed’ is the much talked about dupe of Urban Decay’s Naked palette, and whilst the only real experience I’ve had of Naked has been swatches and trials at the counter, I was pretty impressed with this. 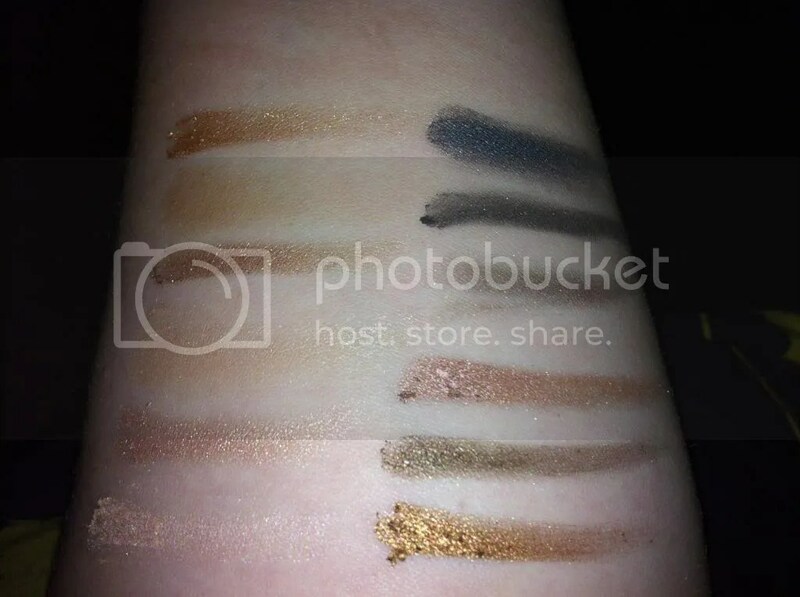 As you can see from the swatch, some of the shades are a lot more pigmented than others- the two matte shades are especially lacking in colour pay-off- but in general they’re all fantastic. They don’t feel like cheap shadows; they are certainly almost as creamy and chalk-free as my MAC shadows, for example- and they’re very easy to apply and blend. The palette comes with a dual-ended sponge applicator but I would of course recommend an eyeshadow brush to apply. There’s a little bit of fallout with the shimmer shades as you can see above but this is minimal. The shadows also lasted all night during the aforementioned tear-fest that was Les Miserables, with practically no creasing or fading. I’ll try them for a whole day before I make my final judgement, but on the whole this palette is great. And best thing? It cost £4. Four sodding pounds. 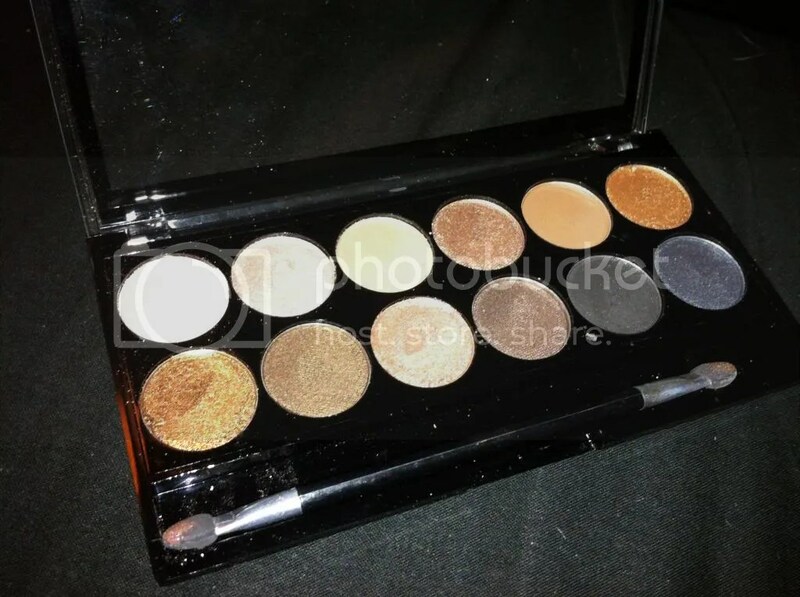 Compared to the £36/38 you’d spend on Naked, this is a great budget alternative, and a good natural/smoky palette to have in a budget beauty collection. 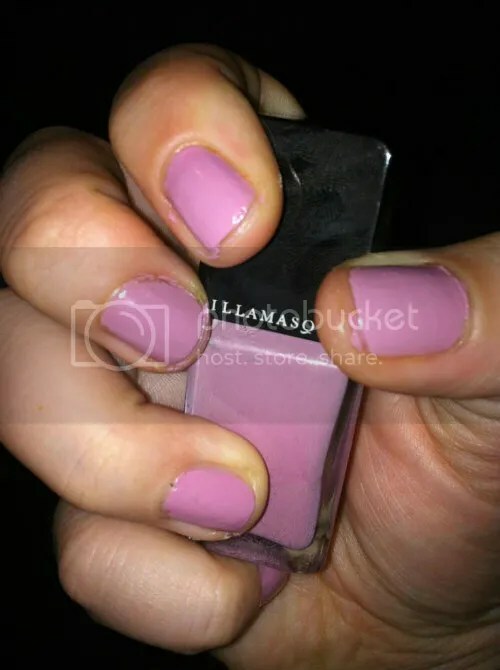 This is Illamasqua’s nail polish in Jan, it was in the Mystery Box I got in the online sale at Debenhams. It’s much more of a girlie colour than I’d ever get, but as it was in the gift box I thought I’d try it. I actually kind of love it! The nails in the photo have only got one coat on, and it dried super fast. I think these polishes more than live up to their price tag- they usually retail at £13.50. Tomorrow will be the shoe and ELF haul, fat fashion fans. Until then! 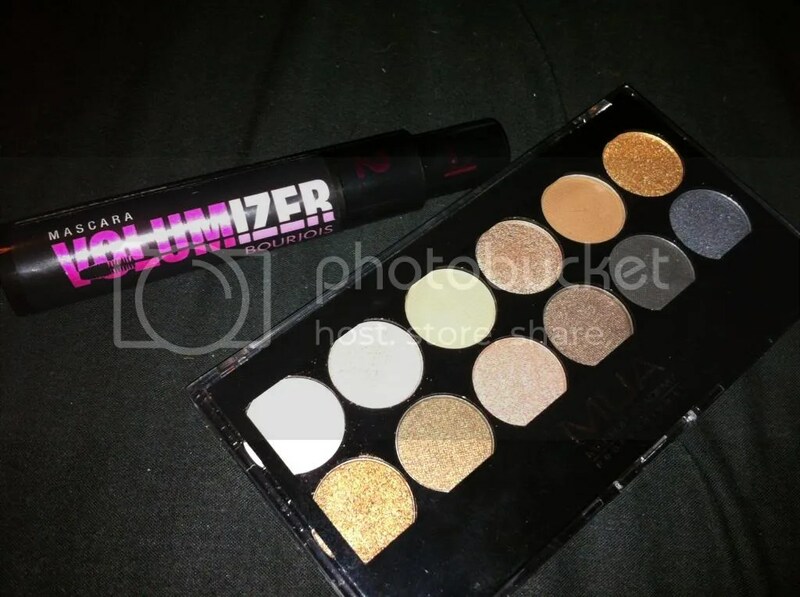 This entry was posted in Beauty, Hair, Makeup, Fashion Trend Alert, Fashion- High Street and tagged bargain, Barry M, beauty, Bourjois, Dupe, haul, make up, MUA, Superdrug, Undressed, Urban Decay. Bookmark the permalink.